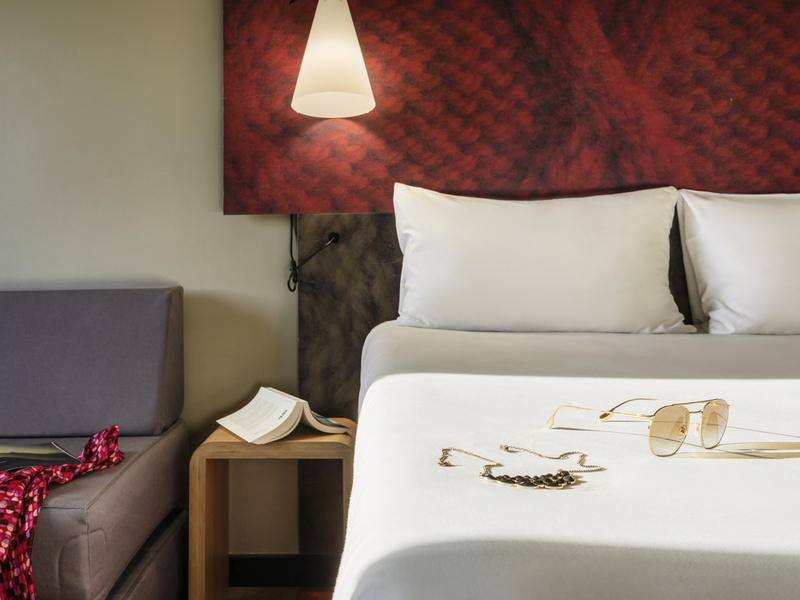 The entire team at the ibis Marne La Vallée Noisy hotel will be delighted to welcome you during your stay. Ideally located halfway between the capital and Disneyland® Paris, we look forward to welcoming you to our hotel. See you soon! Located 20 min. from Paris, Disneyland® Paris and the Val d'Europe shops, the ibis Marne La Vallée Noisy Hotel is conveniently located, a 5 min. walk from the RER A and close to the A4 motorway. Our 161 air-conditioned rooms with free Wi-Fi, as well as our new Courtepaille restaurant-grill open around 24/7, we welcome you for your business or family stays. Private and secure paid parking is available. On the A4, 12.4 miles from Disneyland Paris, 8.7 miles from Paris. Direct access on RER A to: Gare de Lyon station, Opéra, the Champs Elysées and La Défense. Family room available for 2 adults and 2 children!